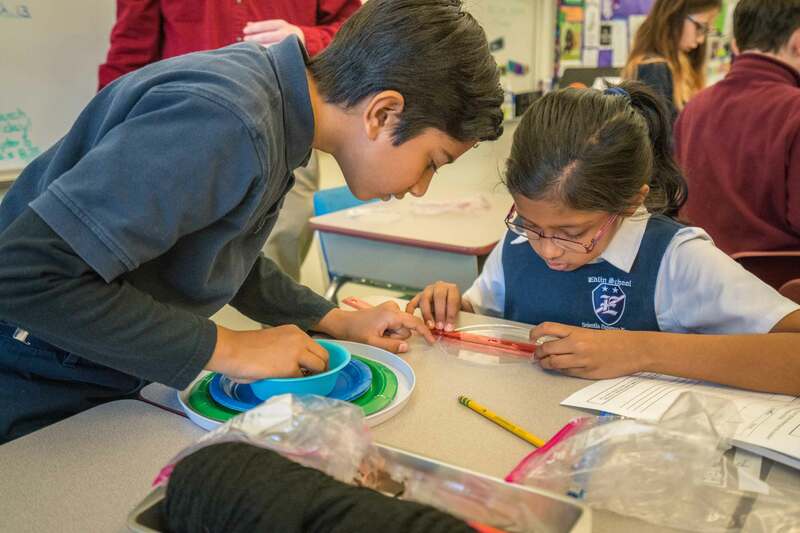 On March 14th (also known as Pi Day), elementary students across the Edlin School campus were engaged in a variety of circular math experiments in honor of the mathematical symbol Pi (3.14). Which is greater, the height of three tennis balls of the circumference of one tennis ball? 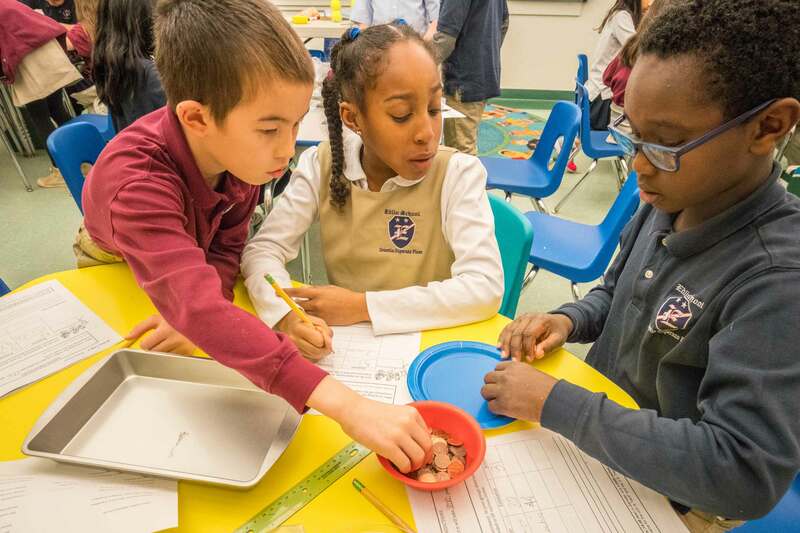 With great excitement and amazement, our students discovered that the circumference is a little bit larger than the height of the three tennis balls (three times the diameter of a tennis ball). Students carefully measured plastic plates and bowls to determine their diameter and radius and then used the value of Pi to determine the circumference. 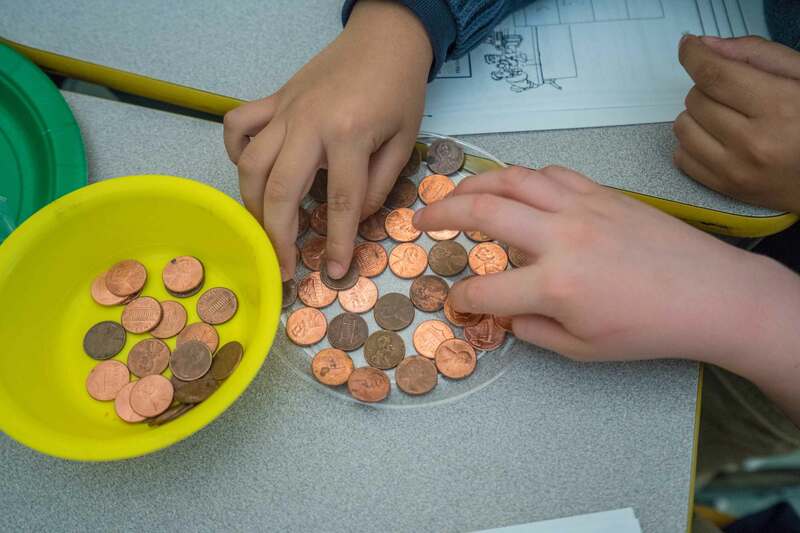 Students used pennies to see how many pennies it would take to cover the surface area of plates. They first made predictions and then counting how many pennies were actually used. Today’s class was just one example of how Edlin teachers bring math alive for students each and every day!